In loving memory of Elizabeth Mary Levingstone died 7th Dec. 1919 aged 43. 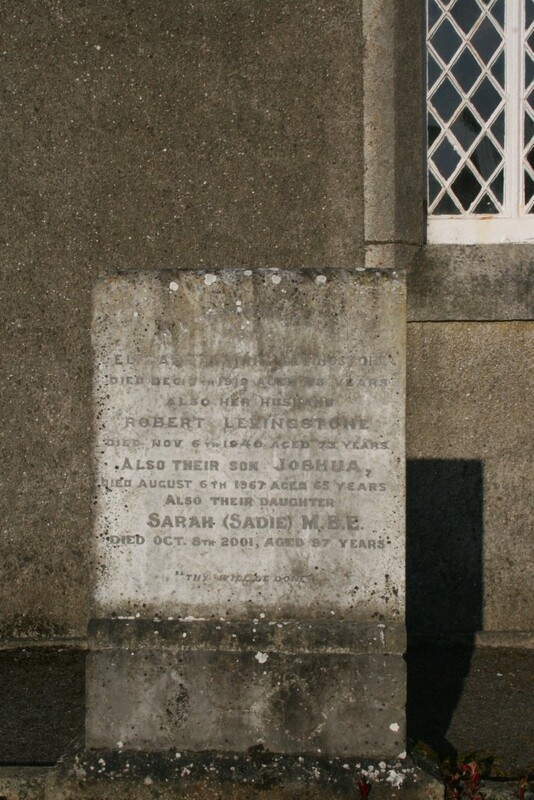 Also her husband Robert Levingstone died Nov. 6th 1940 aged 73 years. 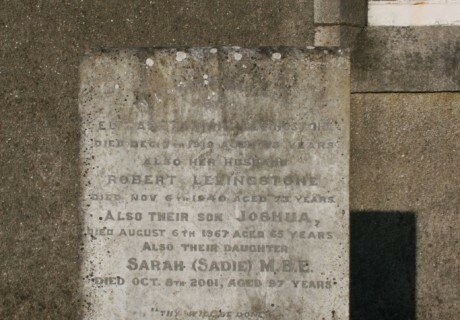 Also their son Joshua died August 6th 1967 aged 65. Also their daughter Sarah [ Sadie ] M.B.E. died Oct. 8th 2001 aged 97 years.